For the most part, motorcycles and carburetors have come to a parting of the ways. While a few carburetor-equipped bikes are still on the market, the vast majority of street bikes are now equipped with some form of electronic fuel injection, which despite the complication it adds, is both a better way to go, and undeniably here to stay. We will limit our discussion to the types of fuel injection systems that are likely to be encountered on motorcycles. One of the major differences between fuel injection systems is how the sense the amount of load that is placed on the engine. The load can be sensed by how far the rider has twisted the throttle and MAP (manifold absolute pressure). EFI systems that sense engine load by the use of the throttle or TPS (throttle position sensor) are referred to as an Alpha-N system. 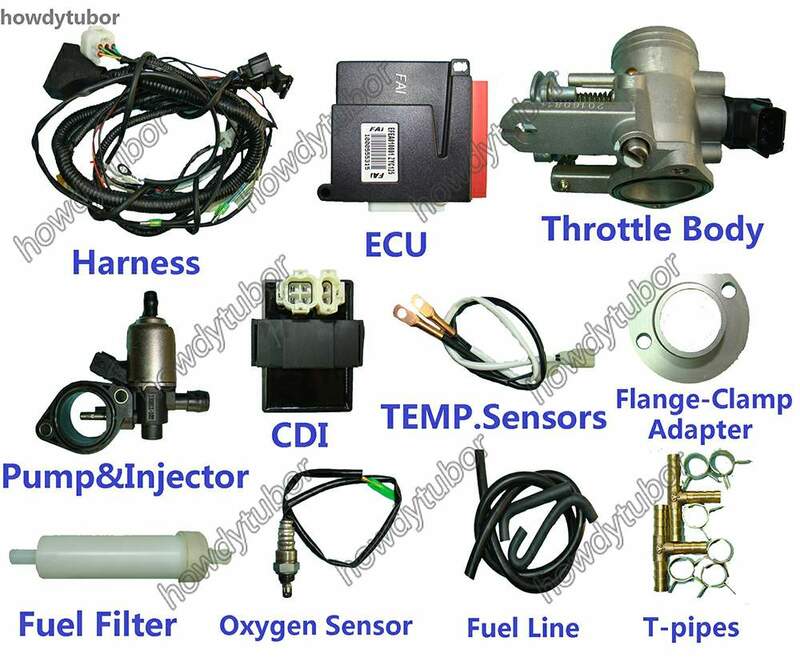 EFI systems that sense engine load by the use of a MAP sensor are referred to as a Speed-Density system. Harley-Davidson has used both types of EFI systems on its vehicles. While many of the sensors can be the same in both types of EFI systems, there is a significant difference in the way that each system determines what the load on the engine actually is. The Magneti-Marelli system used on EVO and Twin Cam FLH's until 2001 and Buell XL engines is an Alpha-N EFI system. On these bikes, load sensing is determined by the throttle position. The newer Delphi EFI system used on current Twin Cam engines is a Speed Density system. Speed Density EFI systems determine the engine load based on the intake manifold vacuum. It is a sad day in Hogville. The mighty Harley is slowly loosing its carburetor. For those of you who haven't noticed or are stuck back in the 80's, a large number of the bikes coming from Milwaukee have fuel injection installed. International environmental concerns have slowly forced the change from carburetor to electronic fuel injection. Harley purists are mourning the loss of the venerable carburetor. You can be sure that it will not be many years before all V-twins have fuel injection as standard equipment.